Welcome Home to 176 Beacon Way! 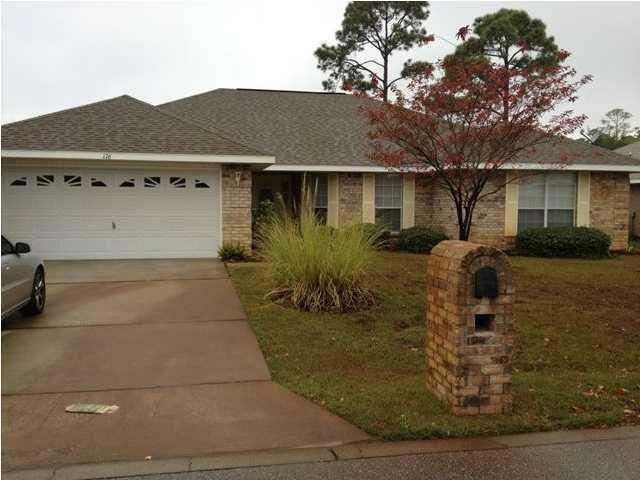 This wonderful single level 3bdr/2ba brick home is located in the desirable neighborhood of Mack Bayou Pointe. The property features a formal dining room or office space right off the entrance to the home in addition to the three bedrooms. An open floor plan with HUGE living area allows for great entertaining! No carpet! Tile and laminate flooring throughout!! Large eat-in kitchen with an island, brand new granite tops, tons of cabinet space AND a huge pantry! Both baths have brand new granite tops as well! Conveniently located near shopping and dining at Grand Boulevard. Just a short drive to the beautiful beaches of South Walton. This is by far the most sq ft available in the area for under 300k! Don't miss out on this one!